We hope you can join us on Saturday 2 June 2018 for our annual celebration of Cats Protection’s work. 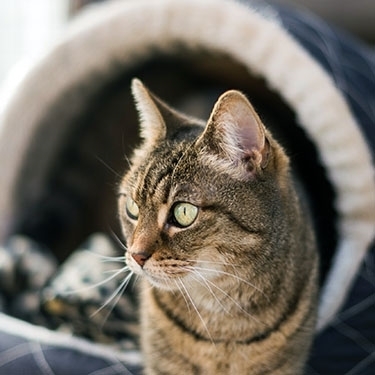 This year’s Annual General Meeting (AGM) will be held at The Vale Resort near Cardiff, which is located approximately 30 minutes’ drive from our Bridgend Adoption Centre. The day’s programme will be a full and interesting one with activities including the AGM business section in the morning, where you will hear some heart-warming news about the charity from our new Chairman, Linda Upson. In the afternoon there will be opportunities to take part in a choice of breakout sessions covering a range of topics and/or a coach trip to the Bridgend Adoption Centre. The ever popular exhibition area will provide delegates with opportunities to meet volunteers and staff from across the charity. The audited Cats Protection Annual Report & Accounts 2017 will be placed before the members. Voting members will also have the opportunity to vote in our Advisory Council elections and on the reappointment of auditors. You can vote if you are a member, aged over 18 and have been a member for at least a year since becoming 18. To reserve your place, please email agm@cats.org.uk with your name, address and membership number or phone 01825 741 365. Once registered, we will send you further information about the event.